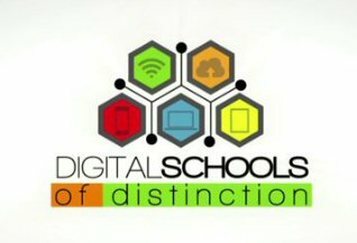 The Digital Schools Award Initiative recognises excellence in a school's approach to the integration of ICT in learning and teaching. St. Seachnall's N.S. will be applying for this award in the upcoming year so exciting times ahead!! This award recognises our efforts to integrate ICT effectively in our school under five categories. St. Seachnall's have a computer room, which we would like to update in the next few months. Our website was officially launched on the 27th of April 2015. Our school is fully networked with a server, which contains many resources for all class levels. All of our classrooms have interactive whiteboards and internet access. We use Databiz for attendance and standardised testing. We also have laptops available for children in our school and ipads for children with special needs.